Marrar Woorn is funded by the State Government under the Neighbourhood House Victoria Program. Otway Health contribute additional funds and act as our auspicing body. 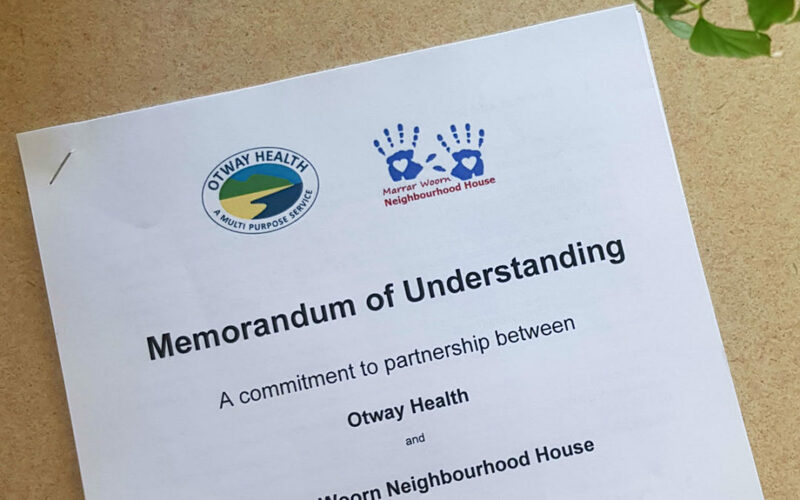 Last week, Bob Knowles from the Marrar Woorn Neighbourhood House Reference Group and Otway Health CEO, Kate Gillan, signed a Memorandum of Understanding outlining expectations for both parties over the next 3 years. Putting such expectations in writing was an opportunity to further strengthen this important relationship so that Marrar Woorn can continue to develop education programs and meaningful services for the local community.